The DX pull handle is the easiest and most natural way to open a screen or storm door. No buttons to push or levers to turn, simply pull the handle and the door opens. Elegant and functional, this handle set will add convenience and style to any aluminum, wood or vinyl storm or screen door. The inside latch features a night latch to lock the door from the inside only. For added security, an interior deadbolt (SK5) or a keyed deadlock (SK703) are available. 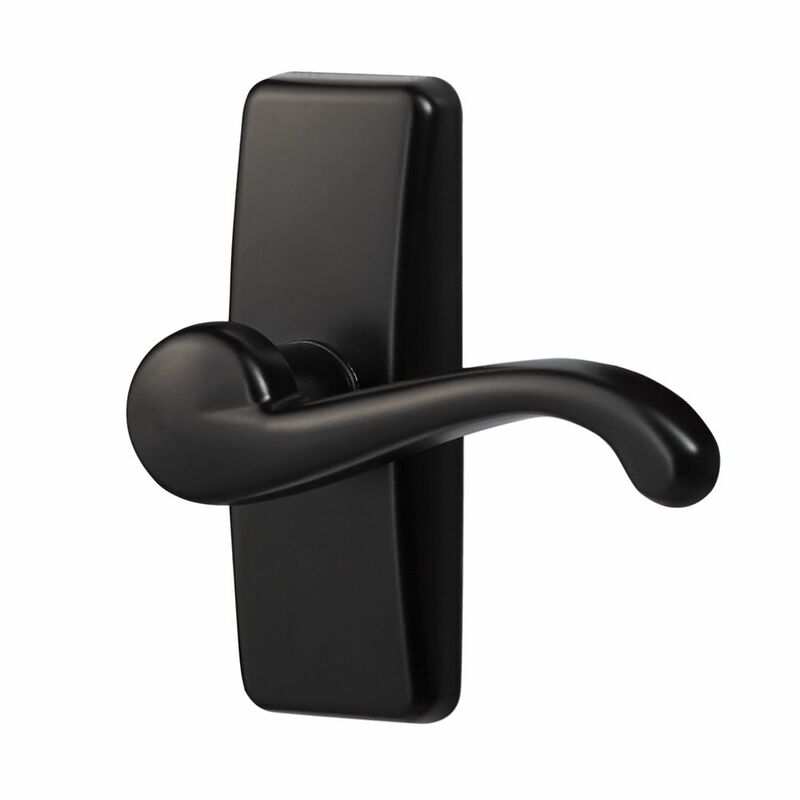 The set includes the outside handle, an inside latch and all installation accessories for a quick installation. This handle will replace all storm and screen door handles that have 1-3/4 in. distance between the screw posts. The set will fit doors 1 in. to 2-1/8 thick. You may need to drill one small hole on the outside face of the door to secure the back plate. Ideal Security has been supplying quality products since 1956. Rated 5 out of 5 by BobS from Looks great. I didn't have to use the templates as I was able to use the existing holes. It didn... Looks great. I didn't have to use the templates as I was able to use the existing holes. It didn't take a great deal of time to install. A 2nd set of hands would have been helpful. But weren't necessary. The instructions were just a tiny bit difficult to interpret, which is a plus compared to some I've had.